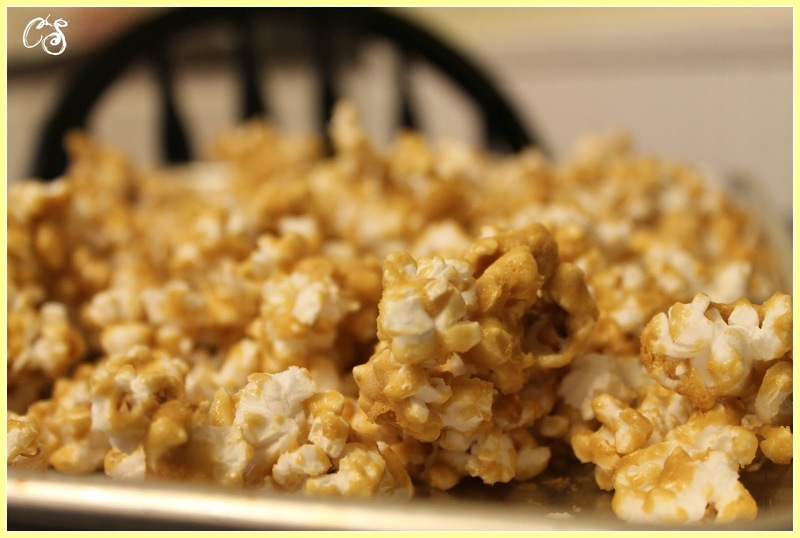 Caramel popcorn is a special treat that I like to make during fall as we watch our favorite spooky movies. Ok, they are not that spooky since I have young children...our Halloween favorites are Monster House and Hocus Pocus. Have oven preheated to 250 degrees F. Keep popcorn warm in oven while preparing caramel. 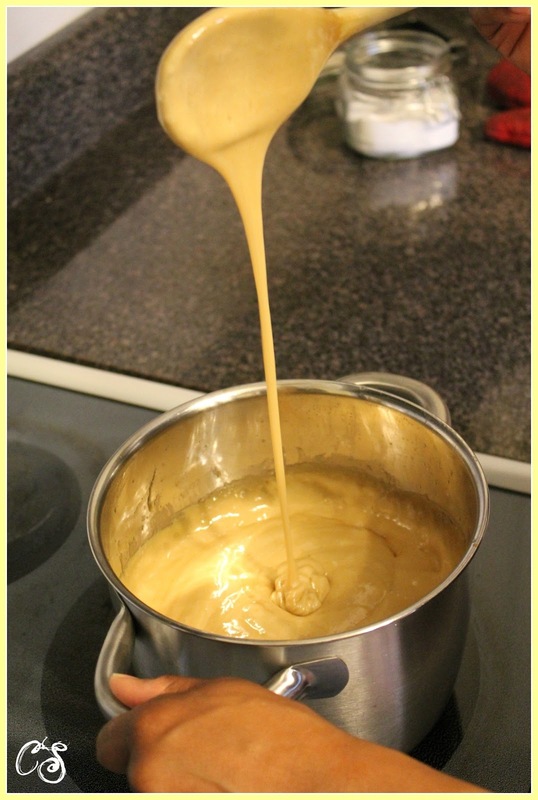 In a heavy saucepan over medium heat, melt butter. Add sugar, syrup and salt. Stirring constantly,bring to a boil. Boil for 4 minutes without stirring. Remove from the heat and stir in the vanilla and baking soda. 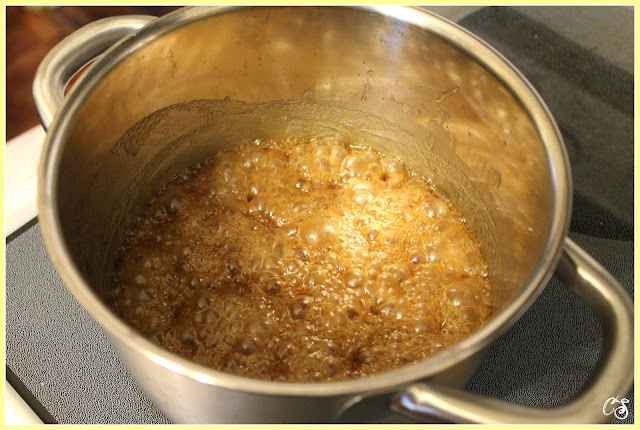 The mixture will foam up and grow. 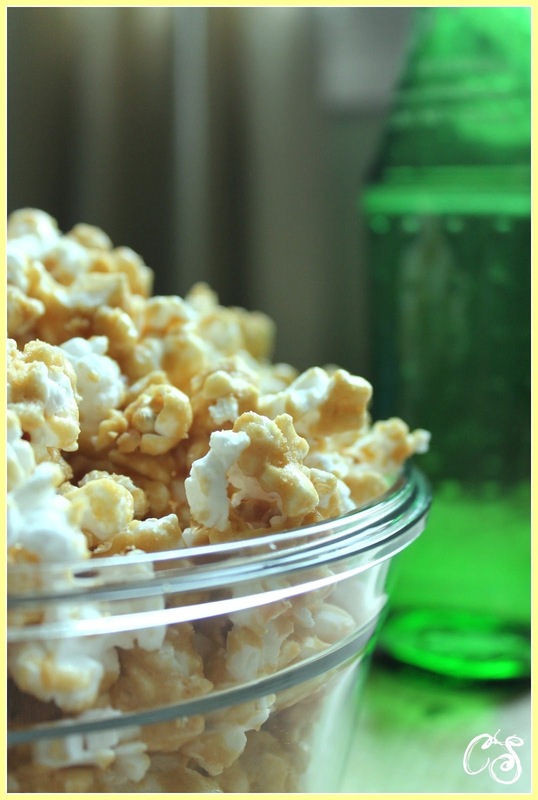 Place warm popcorn in a large bowl. Gradually pour caramel over the popcorn. 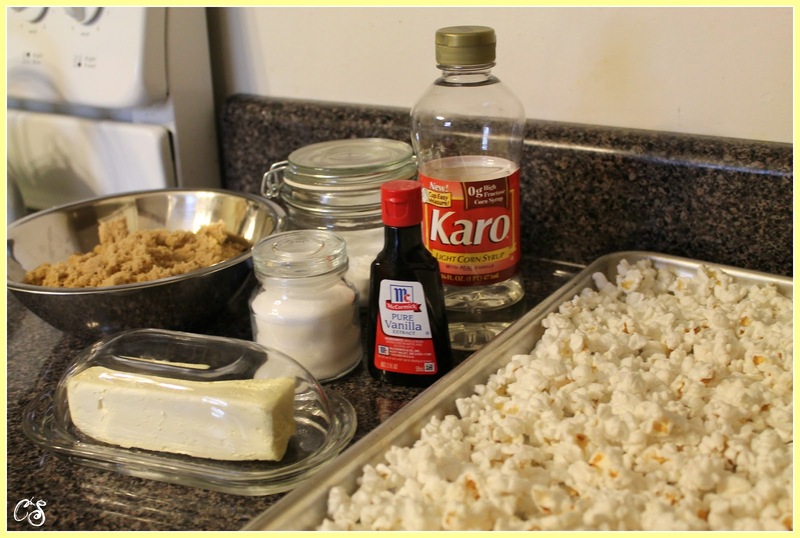 Stir popcorn to coat. Put on two cookie sheets that are lined or greased. Bake in oven for 45 minutes, stirring every 15 minutes. Remove from oven and let cool completely. Break apart and enjoy! Let me know if you try this recipe and how it turned out. Have a wonderful Tasty Tuesday. See ya soon! Welcome and thanks for joining! I will definitely check it out!